I also have not-so-good luck. I'm the type of person who gets an extremely rare and disease without a cure. Odds aside, I'm determined not to ever let my disease win. For the past 7 or so years I've struggled with RRP. It's caused by a viral infection my immune system hasn't beat yet. I have an absolutely incredible doctor, who I admire and trust immensely. I've undergone dozens of surgeries, various treatments, and feel confident we're doing all we can to beat this thing. That said, I'm creating this page to bring awareness to RRP so we can find a cure. The disease can be mentally draining, and The Recurrent Respiratory Papillomatosis Foundation gives me hope. was created to provide patient/family support, serve as an information resource for patients and practitioners, promote public awareness, and aid in the prevention, cure and treatment of RRP by encouraging and participating in promising RRP research studies. While at times I struggle physically, my voice is something no one- not even this disease- can ever take from me. On May 20th, 2017 I'll be running the Brooklyn Half Marathon. 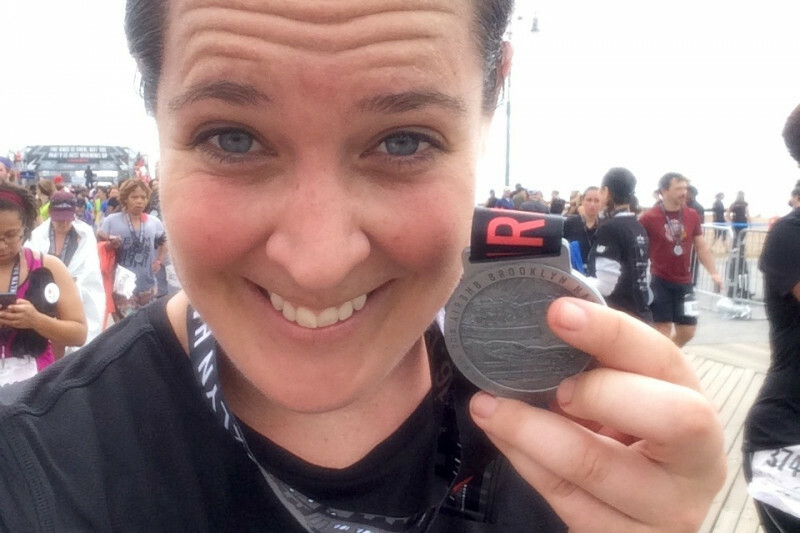 I'd like to use the Brooklyn Half as my way of bringing awareness to both RRP and the RRPF. Thank you for taking the time to read this, myself and the RRP community are truly grateful! Hi everyone! I'm incredibly proud to say we raised over $3,500 for the RRPF. as a stomach virus hit me yesterday. That said, this campaign was bigger than just one race! I will make sure to do the next available half marathon, and keep on fighting!! The money we've raised is now on its way over to the RRPF, and thank you again!!!! We are just shy of $1000 in just two days, this is so incredible! Thanks so much for sharing, all! Myself and the RRP community truly appreciate it. Let's keep the momentum going!! Very proud of all your efforts, Megan, to raise money for this illness. What a class and great group! All raised for a great cause! Fight the fight! Thinking about you. Hoping for a quick recovery!